In Part I, I covered medicines and ointments. Part II – Transportation. Now, on to furniture and climbing toys I think are essential for the new parent. This list is woefully incomplete, but here’s the things we found incredibly useful. 1. 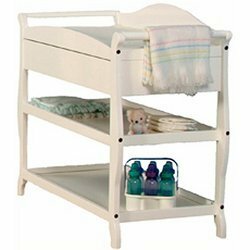 Changing table with a drawer or two – we didn’t have one of these for our first child, but putting one downstairs in the living area was a huge help – upstairs, we change on the bed, but down, there is only the floor or the kitchen table. 2. 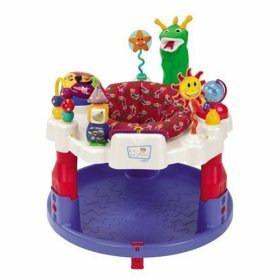 Graco Baby Einstein Discover & Play Saucer – Will keep your baby happy for hours, and keep you hands free too! Note that reports show that these are better for children than the walkers with wheels, which seem to delay walking. Go figure. We have this one (cause we found it cheap on craigslist), but just about any will do, I suspect. Bilingual too (Eng/Sp). 3. 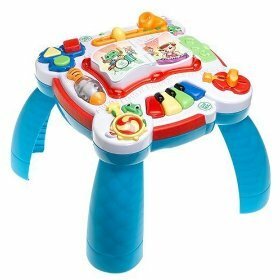 Musical Table – Toddlers and almost toddlers love these. Hours of activity when they are learning to stand. 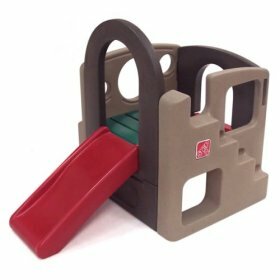 My infant/toddlers have ALL loved this and spent a lot of time playing with it. It’s also bilingual (Eng/Sp). 4. Climber – they’ll be using it before you know it, this one is great because it’s not too tall, so when they fall off of it, little harm done. Good up to about age 4. 5. 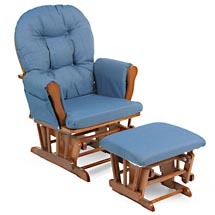 Gliding Rocker ($160) – mom’s best friend for midnight feedings. You can actually sleep while nursing! These are grossly overpriced at places like Babies R Us, but Walmart has a decent one for $160 (goes on sale for $99 sometimes). We liked the Denim one, but comes in other colors.